Submissions for the 65th Edinburgh International Film Festival, 15 - 26 June 2011, will open on 1 November 2010. When Darren decides that enough is enough and threatens to speak out against what his fellow gang members are doing, he is killed. His younger brother Leo (Maza) is grief-stricken and struggles to cope, without a job and without much of a home life. 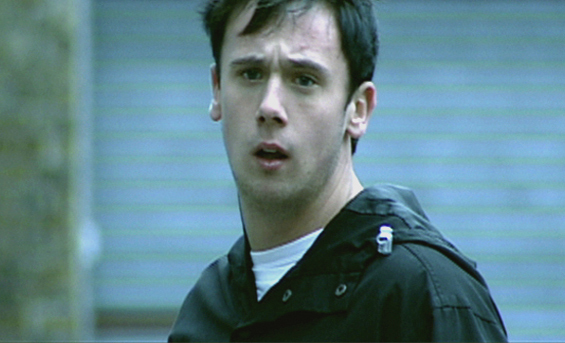 Suspicion for Darren's death falls on Leo's friend Isaiah (Dowden) but evidence slowly begins to point the finger at someone else. Scottish Documentary Institute is pleased to announce that Bridging the Gap 8 is now open for applications! We are looking for Scottish-based filmmakers to make ten minute documentaries on the theme of SHIFT. We want films to be told in the first person – either by the filmmaker or the main character. 12 ideas will be short-listed on the basis of the proposal and supporting materials. In the following weeks they will be developed and honed further through weekend workshops so that they can be pitched to a panel of experts who will commission the final 5 projects in December 2010. The films are intended for distribution in cinemas and festivals and to be delivered by April 2011. This scheme is open to all filmmakers based in Scotland, and particularly aims to bridge the gap between training/graduation and a first commission, and those filmmakers who have not made films for the big screen. We are especially interested in filmmakers from diverse and under-represented backgrounds. We cannot accept applications from students in full time education. Bournemouth, Dorset – White Lantern Film has teamed up with screen actor Mem Ferda to launch the exciting movie script search, KILLER SCRIPT! Mem’s undeniable appeal first came to the attention of the media when he made his screen debut in Guy Ritchie’s controversial film Revolver. Now with over 40 credits to his name, Mem Ferda is clearly one of the UK’s most sought after talents. Renowned for his portrayal of dark characters in films such as the black ops thriller Legacy, the British Gangster film The Crew, the upcoming Lee Tamahori film The Devil's Double and recently completed The Veteran, Mem has now teamed up with award winning production company White Lantern Film to find the next, great, British Independent horror or thriller, in which he is to star. The ultimate KILLER SCRIPT. Having recently completed EMULSION (d. Suki Singh), featuring Mem Ferda and produced by White Lantern Film, the team have reunited with a £100k film development and seed fund to seek out high-concept, gritty, psychological films that have international appeal. Horror and thriller stories are highly desirable, as long as they attempt to exceed typical B-movie fare. Screenplays should push boundaries and expectations, and introduce us to environments and situations that are intriguing and fresh. Memento, Leon, Irreversible, Bad Lieutenant and 21 Grams are all good examples of the kind of stories that will make the next Killer Script. With only 11 days to go and the prospect of a week by the sea in Jersey drawing closer, we're offering a special 30% LAST MINUTE DISCOUNT on our intensive week-long course for filmmakers looking for guidance, inspiration and development on their latest projects, led by top industry talent. And with a free pass to the fabulous Branchage Film Festival included in the price, this is an opportunity not to be missed! Cor blimey governor, Special Edition # 42 is a massive one. Laurence Boyce has been watching a multitude of DVDs and the column includes numerous feature debuts, some great British features and THAT sci-fi show that is always mentioned in this column. Given it’s so big, better stop waffling on and get straight to it! The 54th BFI London Film Festival, in partnership with American Express, is proud to announce that this year's Festival will open on Wednesday 13 October with the European premiere of Never Let Me Go, directed by Mark Romanek (One Hour Photo), based on the highly acclaimed, bestselling novel by Kazuo Ishiguro and adapted for the screen by Alex Garland (Sunshine, 28 Days Later). The stars of the film are expected to attend the opening night screening, including Oscar nominee Keira Knightley (Pride & Prejudice, Atonement), BAFTA winner and Oscar nominee Carey Mulligan (An Education) and BAFTA TV award winner Andrew Garfield (Boy A, Red Riding). All types of movie are represented including thrillers, sci-fi, comedies and slick US horrors and more. New and classic films are added all the time. Expect to find titles like; Allegro, Baise Moi, The Boss of it All, Brothers, Chopper, Choking Man, Dark Star, Evil Aliens, Funny Ha Ha, George Washington, HurlyBurly, King of New York, Kontakt, Love is the Devil, Millennium, Mirror Maze, Mutual Appreciation, My Left Foot, Old Joy, The Pleasure of Being Robbed and Reprise. There are also quality documentaries including: A Personal Journey with Martin Scorsese, Crass: there’s no Authority but Yourself, Sympathy for the Devil, Word Wars, The Cutting Edge, Room 2017 and many more. You will also find some of the best Animation and classic shorts like; Adam, Creature Comforts, The Quay Brothers Collection, I Am Bob, Where’s the Money Ronnie? and The Traffic Warden. Since launching in June 2009, indiemoviesonline.com has attracted over 2.5m unique users with its unique blend of free movies. Indie Movies Online also has quality and regularly updated bespoke movie editorial on the site and a forum for film discussions. Content providers that license films include The British Film Institute, Aardman, East West, Soda Pictures, Hanway Films, ITV, Spolight, Screen Media, Cinetic, Content Films/Fireworks and Content Republic. British director Garrick Hamm’s new short film The Man Who Married Himself has been selected for two prestigious US film festivals this summer. The first of these is the LA Shorts Fest which has just started this July. 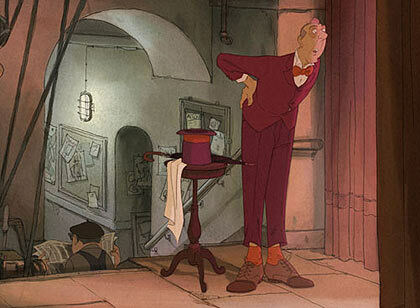 This particular Festival has an uncanny knack of selecting short films that go on to win the Oscar for Best Short Film. The second Festival is the 2010 Rhode Island International Film Festival which is also a qualifying event for the Academy of Motion Pictures Arts and Sciences. 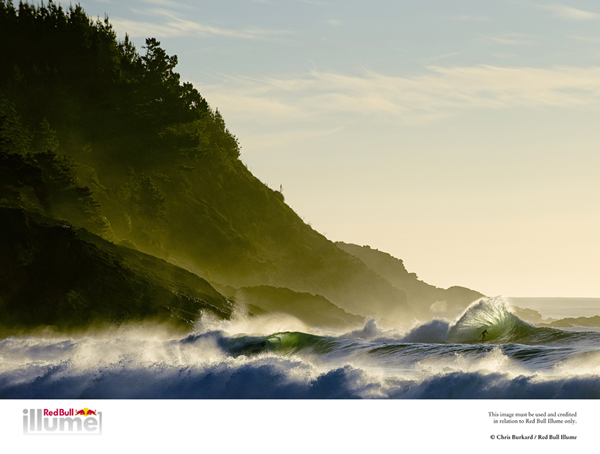 The Man Who Married Himself has a wealth of talent both in front of and behind the camera. It stars Richard E Grant as the title character, alongside British acting talents Warren Clark, Emilia Fox and Celia Imrie. Behind the camera are director Garrick Hamm and award winning cinematographer Michael Seresin (Harry Potter, Angela’s Ashes, Angel Heart). As always, the summer becomes a time when the focus is on the spectacle of cinema-going with movies such as Inception and Toy Story 3 packing them in. So, Special Edition # 41 will show you that it’s excellent time to chill out and enjoy some low key delights as they hit the shelves. Laurence Boyce finds some excellent films that have proved wildly popular on the festival circuit and a choice selection of re-releases. It always seems that cinematographers never get the wider respect they deserve. Whilst your average person may be able to reel off the names of numerous actors and directors, the humble cinematographer is often forgotten about by the general cinema going public. Thankfully Cameraman – The Life and Work of Jack Cardiff (Optimum Releasing) redresses the balance with its thoughtful and illuminating examination of one of the best cinematographers in movie history. Jack Cardiff has worked with everyone from Alfred Hitchcock to Laurence Olivier and the film about his life and career has him reminisce about the greats that he’s worked with throughout his career. Director Craig McCall eschews a more formal approach to Cardiff’s career allowing Cardiff – and numerous colleagues including Martin Scorsese, Lauren Bacall and Kirk Douglas – to tell some fascinating and often humorous anecdotes of a career that begin as a child actor in 1918. Cardiff is obviously loved by his peers, not only for his winning personality, but for his artistry and talent and what results is a gentle yet endlessly rewarding portrait of a cinematic great and a paean to the skill of cinematographers from across the world. Jack Cardiff sadly passed away in April 2009, and this film is a joyous testament to his legacy. Details of the surprise announcement about the axing of the UK Film Council amidst dozens of other arts quangos. 23.58 With the Facebook group inching towards 5,000 members, and the petition well over half that, the web is awash with comment and analysis. Andrew Pulver, Ronan Bennet and John Woodward all have pieces in the Guardian, the BBC have rounded up some industry reactions and also put a few dozen UKFC short films to watch on Film Network. 18.05 The regional screen agencies are safe (for now), according to the DCMS in a quote published on Northern Media's website. 17.03 These Twitter streams are good places to keep up with latest developments and opinions: 'Film Council' and 'UKFC'. There's also a 'Save the UK Film Council' Facebook group and a petition. 15.31 Questions over - with hints that the axe may not have fully fallen and a clear sign that there will be further be consultations. 15.15 The DUP's Ian Paisley is asking about the UKFC. Jeremy Hunt replies: 'We have not announced a decision, we have announced that we are considering doing this, as we want to hear everyone's views. The UKFC spent £3m on back office administration last year and we want to ask how that money could be better used to support filmmakers." 15.10 So that was a very brief statement. Nothing new learned. Except asking about England's 2018 World Cup campaign is 'a very good question'. 15.08 Now on to the World Cup 2018. What!?! 15.08 'Every penny to be spent frontline services and not on back office bureaucracy'. 15.06 'A brief statement'. Says Jeremy Hunt. Finally. He does use the phrase 'considering the closure of the UK Film Council' as if to say there is still room for discussion. 14.58 Ben Bradshaw, shadow culture secretary is asking if the DCMS is lobbying for larger shares of the budget than other departments. Bradshaw notes there is no-one from the LibDem front bench in the Commons. Bradshaw, openly gay, is calling them the Brokeback Mountain Coalition. 14.55 Creative Partnerships (a brilliant scheme) being discussed in the Commons. May the axe not fall upon them. Vaizey at least acknowledges there lots of 'good initiatives on the ground'. 14.52: House of Commons questions continue. Lots of interesting questions on media ownership, the BBC and the Digital Economy Bill but not about today's announcements, presumably will come at the end after pre-submitted questions are asked. My connection keeps dropping as well, there must be a lot of people viewing it. 14.34: House of Commons Questions for Jeremy Hunt, Secretary of State for Culture have started. The BBC is taking top bill: http://news.bbc.co.uk/democracylive/ and dedicated page here. "The Minister for Culture, Ed Vaizey, has said that the target is to have the organisation totally closed down with its assets and its remaining operations transferred out by April 2012. That does, at least, give us time to honour our current commitments and, as far as possible, to continue our funded support for film while the DCMS ensures an orderly transfer of remaining film functions to other Government departments and/or agencies. My one priority over the next few weeks will be to press the Government to confirm that the funding levels and core functions that are needed to underpin British film are locked-in. "It’s important to stress that the Government has said it remains committed to both the current Film Tax Relief and to the principle of Lottery funding for film. To that end, our existing funded activities will continue to operate as normal while we work with the DCMS over the Summer to identify how they can guarantee both continuity and safe harbour for British film going forward. "I completely understand that you will have lots of questions – but many of the answers will have to wait until the dust settles and the DCMS comes up with a new plan for film clearer in the months ahead. We will of course keep you abreast of further developments." “Abolishing the most successful film support organisation the UK has ever had is a bad decision, imposed without any consultation or evaluation. People will rightly look back on today’s announcement and say it was a big mistake, driven by short-term thinking and political expediency. British film, which is one of the UK’s more successful growth industries, deserves better. Applications for Power to the Pixel's groundbreaking PIXEL MARKET will remain open for two more weeks. The innovative marketplace takes place on 13 & 14 October 2010 in London and will showcase 20 of the world’s best cross-media projects at Power to the Pixel’s Cross-Media Forum. On 14 October The Pixel Meetings will allow all 20 project teams to take part in one-to-one business meetings with potential investors and partners from across the tech, online, interactive, film, broadcast, arts, publishing and gaming industries. On 14th July the remarkable British documentary Isolation will begin a limited theatrical run at Picturehouse Cinemas across the UK. The film, which received a rapturous reception when it screened at last year’s Edinburgh International Film Festival in 2009, deals with the scandalous statistic that a quarter of British ex-soldiers sleep rough after they return home. An impressionistic portrait of the emotional and physical aftermath of war, the film follows photographer and ex-soldier Stuart Griffiths as he travels across England uncovering the stories behind the military statistics. This bold documentary explores the personal demons and uncertain futures faced by soldiers leaving the army. Griffiths now photographs the 25% of British soldiers who find themselves on the streets after they leave active service. Philips has launched an exciting global contest giving aspiring filmmakers the chance to have an original work judged by one of the world’s greatest film directors - Sir Ridley Scott, director of Hollywood blockbusters including Alien (1979), Blade Runner (1982) and Gladiator (2000). The contest, called ’Tell It Your Way’, will also give one lucky winner the chance to gain a week’s work experience at Ridley Scott Associates (RSA) offices in Los Angeles, New York, London or Hong Kong. The contest involves creating an original short film to accompany Philips’ ground-breaking Parallel Lines series of short films, directed by RSA talents, Greg Fay, Johnny Hardstaff, Carl Erik Rinsch, Jake Scott and Hi-Sim. The five short films, released on the Philips website are part of a cinematic project whereby each director created a film in a different genre, with a different storyline, but all following the same dialogue. The coming of age drama is the Short Film Palme D’Or nominee’s first feature length film. Shooting is underway on British director Ben Crowe’s debut feature Verity’s Summer, a coming of age drama set in the North East of England. Crowe, who was nominated for the Cannes Short Film Palme D’Or for The Man Who Met Himself in 2005, also wrote the script for the feature about a young woman’s journey from the security of childhood to the compromises of adulthood. The film, which is shooting for four weeks on the UK’s Northumberland Coast, stars newcomer Indea Barbe-Willson (pictured) as Verity. Emma Biggins of Portsmouth based Multistory Films is producing the film, which is being financed by private equity. Christine Hartland, who produced 2009 thriller W.M.D, is executive producing through her London based company Patchwork Productions. Once in a while comes a film that has me looking fearfully at the clock, worried it will end soon, not wanting to leave the world it creates. 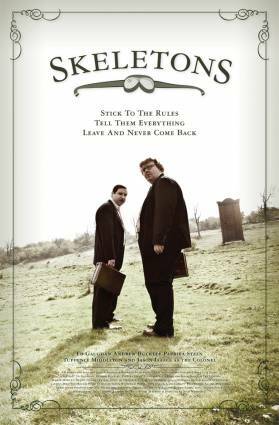 With the word on the street that the team behind Skeletons - Britain's answer to Being John Malkovich - have a number of sequels in the back of the closet, I have a little hope that this might not be the end of Bennett and Davis. Indeed today's news that the team have picked up the Michael Powell Award for Best New British Feature at the Edinburgh International Film Festival today is most promising. By far the freshest, funnest and best looking British film I've seen in a very long time*, perhaps since Ben Hopkin's cult and rarely-seen Nine Lives of Thomas Katz and I really hope it gets a better release than that film so we can see the psychic Kim and Aggie return to the trenches. Allegedly. The Film Festival press release follows the trailer and a brief scene from the opening of the movie. Back in March during the battle between The Hurt Locker and Avatar at the Oscars, much-loved political theorist Zizek waded in with a comparative review of the politics of the two films. His conclusion was that James Cameron's film had been the best attack on the military-industrial complex and US corporate hegemony. Kathryn Bigelow, on the other hand, he argued, legitimised the Iraqi invasion and the actions of American soldiers by normalising them and their life - the Hurt Locker is not a pro-war film, but in making the protagonist soldiers sympathetic it inadvertently supported the politics behind them being there. 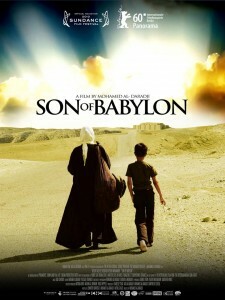 To continue this argument thru then, to follow everyday Iraqis in the aftermath of the invasion on film, as Iraqi-born Mohammed Al Daradji does in Son of Babylon, is to support the wider views of the Iraqi people and those one would expect to be hostile to an invasion. Here, then, is the first big revelation of the film. While the American soldiers are called pigs by one character and loom in the background, hovering overhead, the villain threading through this tale is the ghost of Saddam and his Ba'athist party. Indeed, in one of the many lighter moments in the film, it's revealed that 'talking to Saddam' is a way of saying you're going to the toilet. And as the film unfolds and we move from wrecked cities to a giant prison complex to the first of many mass graves, we begin to understand why. As we are told at the end of the film, some one million Iraqis have gone missing in the last 40 years, with between 150,000 and 250,000 dead uncovered so far in mass graves. In short, the film is a devastating, breathtaking masterpiece. With such heavy subjects at its core this would always be a powerful film. But Al Daradji and his team weaves a work of great drama built upon faultless performances and world class cinematography. We start on an empty road in the middle of the desert. A young boy and his weathered and wise grandma wait in the midst of nothingness. It's a brilliant start which pulls us into the narrative with the deft hand of a skilled storyteller. What unfolds is a road movie, and - like the Illusionist - a child / senior relationship - things that we have seen often before on screen. But they travel across a landscape that we have not seen. Perhaps at the edges of some of war films, but unlike most of these, and almost all films on Iraq to date - this film does not involve the military; there is barely one line of dialogue from a soldier. Instead this is a film about searching, not only for a missing son and father, but for answers, for an explanation and for forgiveness. It's also, somewhat, a search for meaning about death amidst God's seeming indifference. Under director Hannah McGill, Edinburgh International Film Festival has been steadily building its reputation as a platform for great animation - showing the UK premieres of Ratatouille, Wall*E, Up - and this year Toy Story 3 - in a bumper year which includes the world premiere of the hotly tipped 'British Team America': Jackboots on Whitehall. 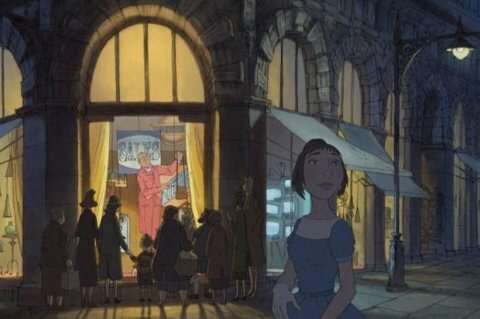 But few films could be better suited to open the festival than Sylvain Chomet's follow-up to the Triplets of Belleville, which seduced audiences the world - the Illusionist, from a Jacques Tati script. For not only does this film deal with the art of illusion and make believe, through a vaudevillian magic act - much like the Presto short which front-ended Ratatouille - but it's a hymn to Scotland and a love song at that. When James MacGregor wrote on Netribution many years ago that Chomet was set to make a film in his adopted homeland of Scotland, I was a little suspicious that he would take the task seriously. Perhaps like his segment of Paris Je T'aime, it would be a short look at some of the delights of Edinburgh's winding streets and windswept corners. What comes out instead is an unrestrained love letter, capturing the city we've all seen and loved, but going further, flying above the rooftops to give it a twist of magic and delight I've never seen. The film couldn't be better suited to the festival, indeed in one scene the magician Tatischeff hides in the Cameo cinema - one of the festival venues - and watches a little slice of Tati's Mon Oncle, a knowing wink to the film's origins. In some ways you could see the film as a sister film to Up - perhaps 'Down' would best name it - an old man, close to his end, goes on a journey, accompanied with the optimism of a child. Indeed the theme tune is almost the same and there's an animal side kick to boot. It is perhaps unfortunate that a dispute regarding the Tati estate should emerge ahead of the film's release, but the information released by the Richard McDonald, the grandson of Tati certainly increases understanding of the film. To realise that the giant of French cinema had himself come from the Parisian music hall, and left a young woman there with his child; that the age of his never-met daughter would have been the same age as Alice in this story when he was writing it - it becomes not just a touching tale of patricarchal care, but a poem from an old man to a young girl as she crosses the threshold to womanhood. Indeed Tatischeff behaves impeccably, sometimes to the point of silliness - sleeping on the sofa in his age, and creeping off in the middle of the night to take on an extra job so he can buy Alice the pair of shoes, or dress or jacket that she desires. There's certainly no comment on materialism here - his function his largely to conjure, from thin air, the possessions she demands, while she seems solely motivated by getting such things. Still it's the one way they can communicate - with her Gallic and his French - neither subtitled, and leaving the audience with the sense of watching a silent film.